Royal jelly…if you’ve not heard of it before, the name might sound strange – is a food or a foot cream? Actually, royal jelly is the substance that is fed to the Queen Bee of a beehive to sustain her throughout her life, helping her to give birth to millions of baby bees. Royal Jelly creates the Queen Bee ovaries and sets her up to reach maturation in a rapid 5 days, when she is ready to start laying those millions of future generations, up to 2,000 eggs per day! This is why Royal Jelly has been investigated as a fertility-boosting supplement. A Queen Bee is double the size and weight of your regular worker bee and lives for 5 to 6 years, rather than just one month like the rest of her hive. So, if you are what you eat – royal jelly is clearly some seriously nutritionally-dense stuff! If it can do that for a Queen Bee, then what might it do for a woman? A study conducted in 2007 out of Japan discovered the royal jelly is similar to a phyto-estrogen and that it contains properties that might support healthy uterine muscles and uterus lining. There have been multiple studies with royal jelly on fertility in animals that suggest it has the potential to increase rates of pregnancy and support fertility overall. Royal jelly is rich in amino acids, medium chain fatty acids (like those found in coconut oil), proteins, along with vitamin D, E, all of the vitamin Bs, plus iron and calcium. It also contains a range of probiotics. 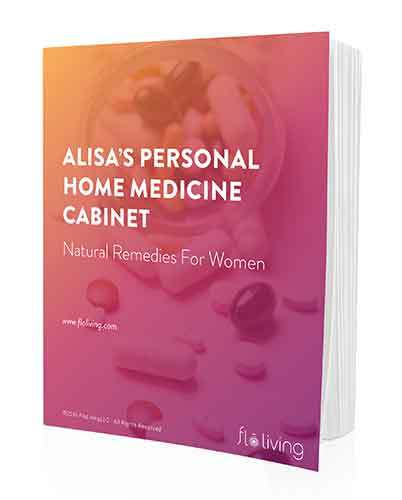 Our bodies need nutrients and minerals to have healthy hormones, healthy cycles and regular, healthy ovulation if we are to be fertile and able to get pregnant. Royal jelly packs a hugely powerful nutritional punch, containing nearly all of the vitamins and minerals a woman’s body needs to conceive successfully. Royal jelly as a supplement is incredibly potent – in taking a small amount daily you are getting a good dose of all the necessary nutrients. I have long preached the gospel of feeding your body the right foods for strong fertility, and royal jelly fits right in as containing high levels of many key nutrients. …and royal jelly contains all of these elements in high doses. That’s not to say that royal jelly is the only place you can find these nutrients, definitely not, but it is a simple and easy way to boost your vitamin and mineral levels, along with your intake of probiotics, fatty acids and protein, when you’re trying to conceive. Although both royal jelly and honey are strengthening to the immune system, good for your skin, and anti-inflammatory – honey does not have the fertility boosting properties of royal jelly. Honey is an ancient remedy for low libido, because it contains boron, which is certainly handy when it comes to getting pregnant, however if you’re looking for those fertility benefits, royal jelly is for you. So, how to take royal jelly? I find the best way to incorporate this into your diet is via a weekly smoothie. Alone it can taste kind of bitter. Try my “Queen Bee Smoothie.” Just add these ingredients to a food blender or smoothie maker, whizz, and you’re ready for a fertility boosting, tasty treat. You’ll also be getting a big boost of folic acid from the spinach, a whole host of vitamins and minerals from the fruit, plus zinc from the sesame seeds. First, are you struggling with conceiving? Is there a particular retailer or brand of royal jelly that you recommend? Where can I find royal jelly? Your health food store, or online! Where would you even buy Royal jelly? Which phase would be best to take royal jelly? Where would you buy this and is it expensive?? Asthmatics should be careful with royal jelly. It can induce attacks in some people. Are you aware of the process used to extract royal jelly? Often queen bees die in the process. There is a world shortage of queen bees, especially this year with climate challenges. Queen bees are having problems with fertility and many are just disappearing. It seems an irony you recommend a natural product with no mention of the damage done to offer it for human purchase. Do you have a regard for the environment and other forms of life, especially hose that are struggling with survival and have fertility problems of their own? 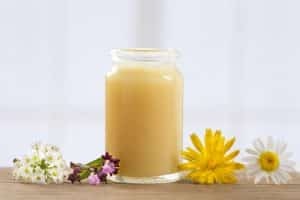 Are there any alternatives to taking royal jelly not in a smoothie? I’m a bit tired of smoothies. I tried taking it straight but it was gross. Do you know whether royal jelly is still helpful and/or compatible for women who will also be taking hormones and clomid? We are inseminating in a couple weeks and am doing the same course of action that got me pregnant super fast last time – 3 days of clomid 3 days, estrogen 3 days (can’t recall the exact cycle days off the top of my head), and then progesterone following insemination. I like to do all I can to help the process, but obviously I don’t want to do something that would negatively interact. Thoughts? I would avoid the raw honey, and focus on other foods, blood sugar balancing, micronutrient therapy etc to support your body to conceive!